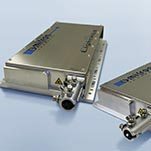 The SOLE Laser Light Engine is a flexible, turn-key Laser Light Engine that combines up to 6 different wavelengths with single or dual fiber output. The LightHub Laser Light Engine is a compact, flexible, turn-key Laser Light Engine that combines up to 6 different wavelengths with either free space or fiber output. The LightHub Plus Laser Light Engine is a flexible, turn-key Laser Light Engine that combines up to 6 different wavelengths with single fiber output. 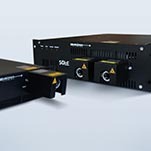 The BrixXHub Laser Light Engine is a compact, flexible, turn-key Laser Light Engine that combines up to 6 different wavelengths with either free space or fiber output.